Achievements: A designer of the 2013 ICF Canoe Freestyle World Cup Feature, found on the Pigeon River. 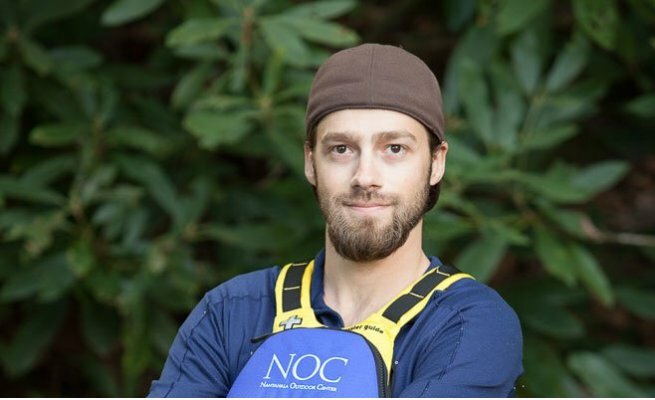 Tim has been with NOC for 9 years and works at the Pigeon River as a Head Guide. Tim was designer of the 2013 ICF Canoe Freestyle World Cup Feature, found on the Pigeon River. He also enjoys teaching incoming guides during NOC's Guide School. When he isn't guiding, Tim likes to explore the local mountain biking trails. But, most of the time you can find him in any type of boat on any river that is running.